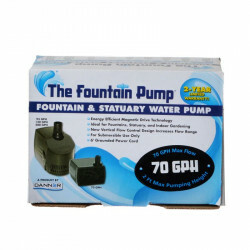 It's easier than you might think to create a peaceful, calming, beautiful fountain or water feature in your back yard, garden, or even inside your home - and the place to start is finding the ideal water pump. 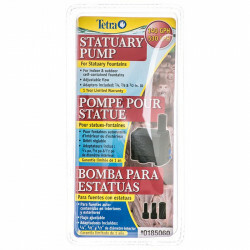 Pumps for statuary fountains are designed with your convenience in mind; they're compact, versatile, submersible and efficient to make installation of your water feature a breeze. At Pet Mountain, our selection of popular fountain pumps from the most trusted names in the industry - including Beckett, Danner, Pondmaster, Tetra Pond and more - feature unmatched quality and offer superior performance. 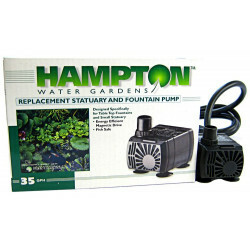 Ideal for self-contained indoor or outdoor fountains, these workhorse water pumps put the power in your hands with adjustable flow controls, adapters to fit virtually any hose connection, and manufacturer's warranties for your peace of mind. 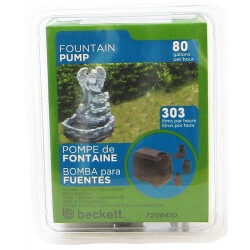 Whether you're setting up a cute cupid statue, a stately lion fountain, or a fun spitting frog, you'll find the best pump for the job right here - and at discount prices that can't be beat!